We are open to the Public on Tuesdays from 10:00 am until 12:30. Please arrive by 12:00 to receive prayer. No appointment necessary. We are open to the Public on Thursdays from 6:30 pm - 8:30 pm. Please arrive by 8:00 pm to receive prayer. No appointment necessary. Become a team member with us! Learn how to minister to the sick and the hurting. 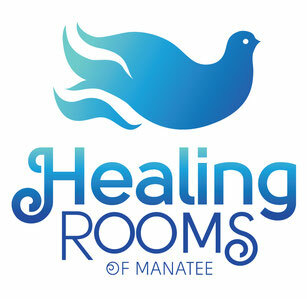 When you volunteer to work in the Healing Rooms of Manatee, we will make your initial training available and provide in-house training. For details on the training process, click here. We celebrate every person and every gift that God brings to us through our volunteers. Learn how to explore and implement your gifts and talents by volunteering as a team member. Watch how God grows you and uses you in the Healing Rooms of Manatee! One of our mottos is "THERE IS ALWAYS MORE IN GOD". We have vision for expansion to include every aspect of Kingdom life. Do you want more? Contact us today!